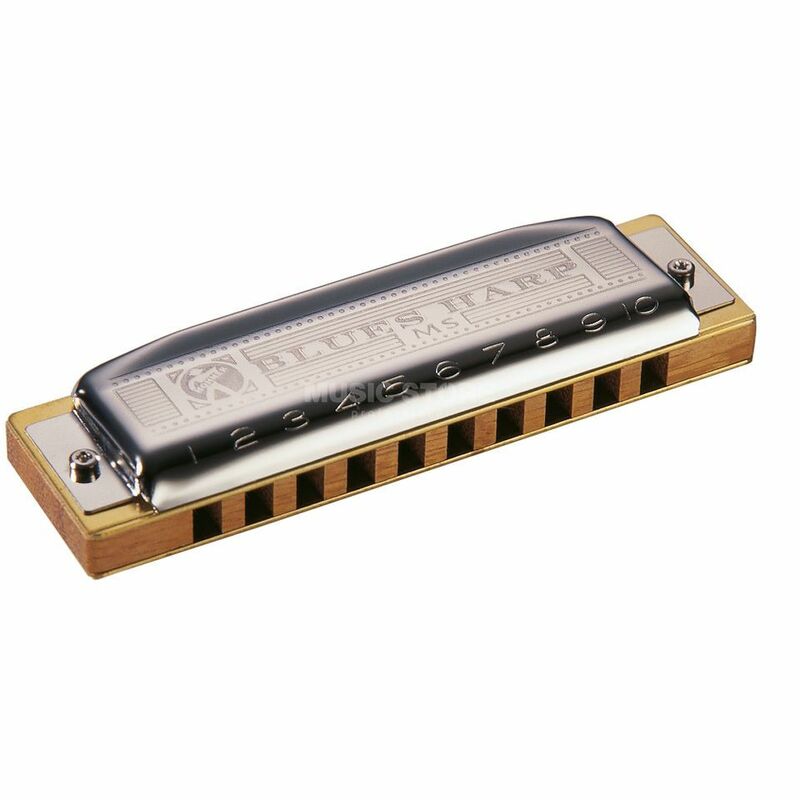 The Hohner D Blues Harmonica is a Modular System Blues Harmonica, in the key of D. The legendary harp for blues, with a dark, dirty, hard rockin' sound. The preeminent harp on the market designed for blues music, this harp is engineered for consistent volume and tone when used for intense blues playing. It can hang with the toughest players on their most serious gigs. Highly bendable with a dirty, dark, hard rockin' sound, this harmonica emphasizes all the best qualities of blues harmonica playing. It has a wood comb for full tone and is available in 12 keys. Replacement parts are available. Excellent workmanship and sound characterize Hohner's modern manufacturing of instruments!